Many people follow the stock market as a hobby. Some of them invest in “penny stocks,” which are stocks that are not listed on exchanges like the NYSE or NASDAQ. Instead they are listed on the pink sheets or the over the counter bulletin and trade for under $5 per share. Brokers do not generally recommend penny stocks because they are high risk. On rare occasions, however, they can produce great returns and the idea of striking it rich off of a long shot is sometimes too tempting to uninformed investors. We want to look at the main reasons why penny stocks are a bad investment idea – for the first-time investor or the seasoned one. First, penny stocks are not sold by reputable companies (referred to as “blue chip”) with a well-established history. Most companies with these types of stocks are either newly-formed, or on the verge of bankruptcy. Second, penny stocks are largely illiquid. This means that it is very difficult to get rid of the shares once you purchase them. Third, because they are not listed on any SEC-controlled exchanges, they are not as regulated, are less transparent, and are more easily manipulated. All of this puts investors at risk. In other words, your broker or brokerage firm still owes you a duty to tell you the truth about the investment from the beginning. 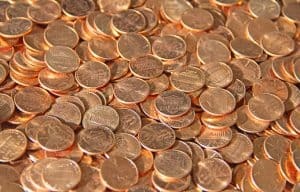 If you sustain significant financial losses after purchasing penny stocks on your broker or brokerage firm’s advisement, you may be entitled to damages for that loss. The Frankowski Firm helps investors who have been harmed by negligent or incompetent advisors, brokers and brokerage firms. To learn more about our services, or to speak with an experienced investment fraud attorney, please call 888-741-7503, or fill out this contact form.